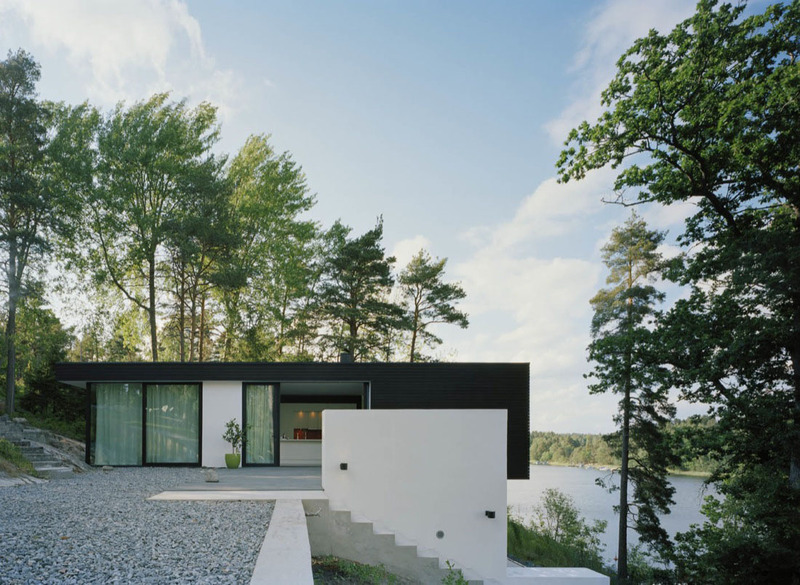 Casa Barone designed by Widjedal Racki Bergerhoff is a modern summer house located in Ingarö-Evlinge, Sweden. The property is built on a slope creating an intimate connection with the outdoors. The house sits between sculptural pine trees, and a large outdoor space makes up half the property. The main living area and the kitchen enjoy beautiful water views and a sense of modern tranquility.